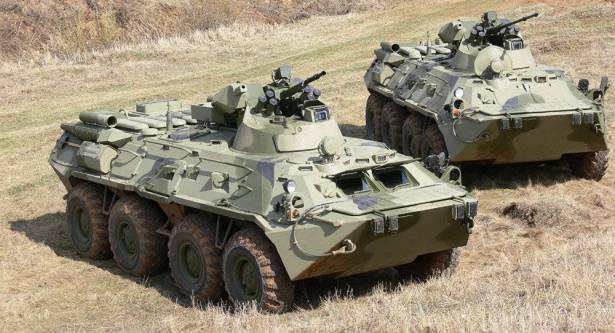 The Lebanese Army is interested in buying Russian military buggy vehicles and infantry fighting vehicles in order to use them in counter-terrorist operations, Lebanese Defense Minister Yacoub Sarraf said Tuesday. "As you know, Lebanon is currently engaged in the fight against international terrorism. Our Army almost as a whole is involved in military actions, and we are looking for equipment that might help our army in counter-terrorism operations… During the show I liked two models that we might purchase, these are armored personnel carriers and paramilitary buggies. We need these types of equipment most of all now," Sarraf said on the sidelines of the Army-2017 forum. The minister also noted the progress of Russia in military-industrial complex. "The Forum is a clear demonstration of Russia's considerable progress in the defense industry. The dynamic show was particularly impressive," Sarraf stated. Lebanon announced the start of an offensive against the Islamic State (Daesh terrorist organization) enclave on the northeast part of its border with Syria on Saturday. Damascus and Hezbollah are also currently carrying out their anti-Daesh offensive on the Syrian side of the border. The Army-2017 International Military-Technical Forum kicked off earlier on Tuesday in the Alabino Military Training Grounds, the Kubinka Airfield and the Patriot Congress and Exhibition Center in the Moscow region.